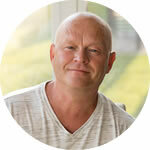 This is a sponsored post written by me on behalf of Moore’s Marinades & Sauces. A recipe for grilled chicken drenched in spicy habanero hot sauce on toasty buns topped with smoked gouda and sautéed peppers. Let’s spice things up! I am SERIOUSLY in the mood for a chicken sandwich. And not just any old chicken sandwich. I want mine GRILLED, and I want it SPICY and I want it with BIG FLAVOR. Lucky for me, I’m cooking with Moore’s Habanero Hot Sauce. This is some great hot sauce, my friends. 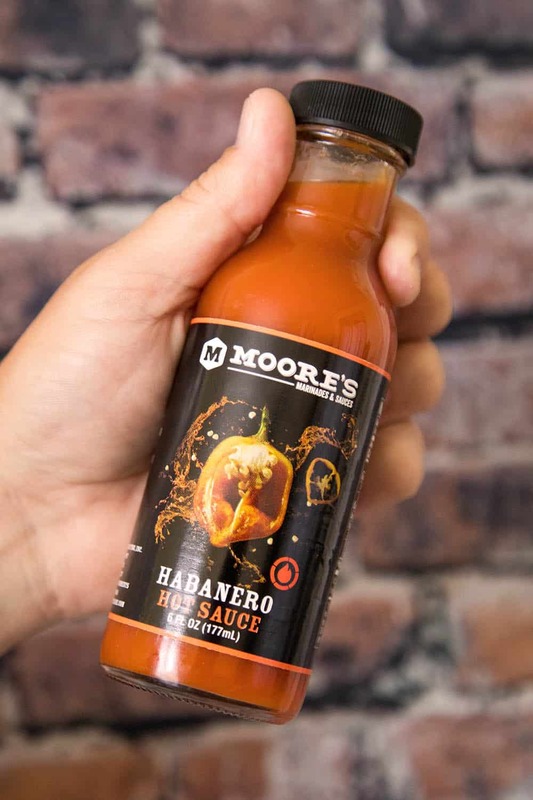 Moore’s Habanero Hot Sauce is spicy and tangy in all the right ways and it’s great for both cooking with and finishing off your meals. Use it and give yourself a true flavor explosion. It has a respectable level of heat that you’re sure to appreciate without overwhelming your palate. 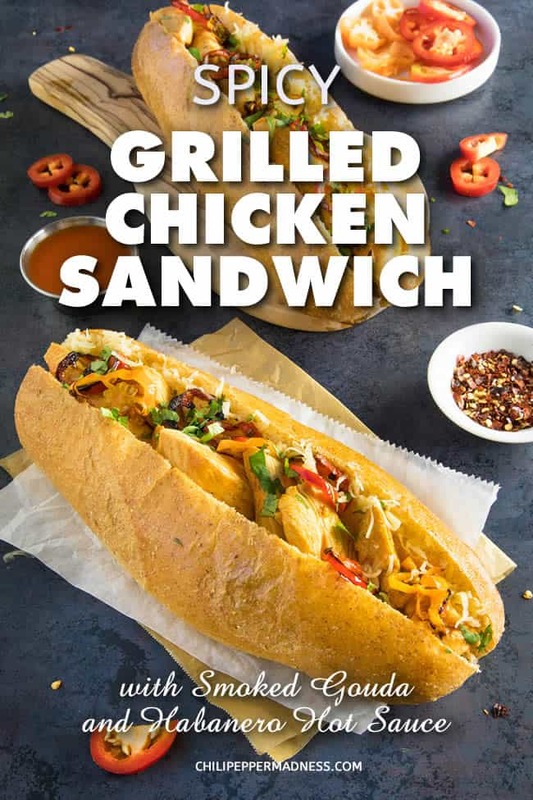 I’m using it 3 times in this recipe, first to flavor the chicken, second to punch up the chicken after it is grilled, and third to drizzle over my finished sandwich. Because I LOVE HOT SAUCE! I know you do, too. Let’s talk about how we make this spicy grilled chicken sandwich, shall we? First, heat your grill or a grill pan to medium heat. You can make this on your grill or in your kitchen. Next, slice the chicken breast into strips about ¾” thick. It helps if you pop the chicken breast into the freezer for about 30 minutes before slicing. Like so. 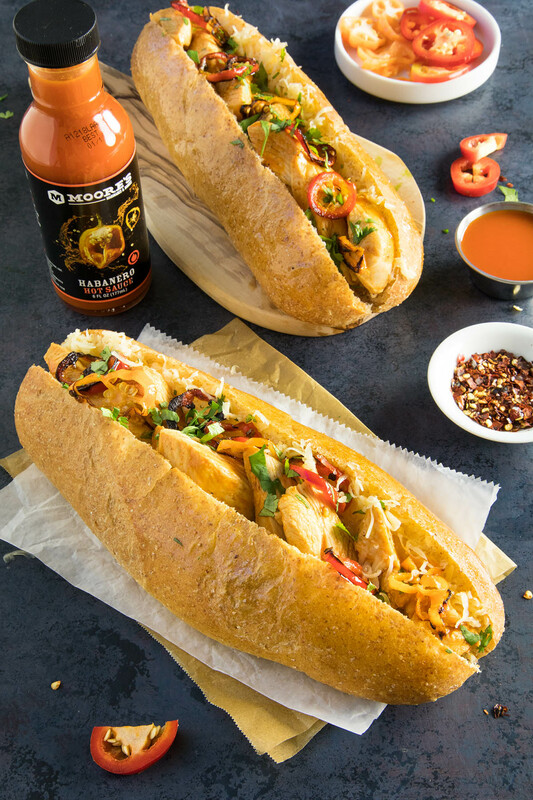 Toss the chicken in a bowl with your favorite blend of Cajun seasonings and ¼ cup of Moore’s Habanero Hot Sauce. Make sure the strips are nicely coated. For more flavor, let the chicken marinate at least 10 minutes. A couple hours is even better. Next, lightly oil your grill grates and grill the chicken strips about 6-7 minutes, or until the chicken is cooked through. 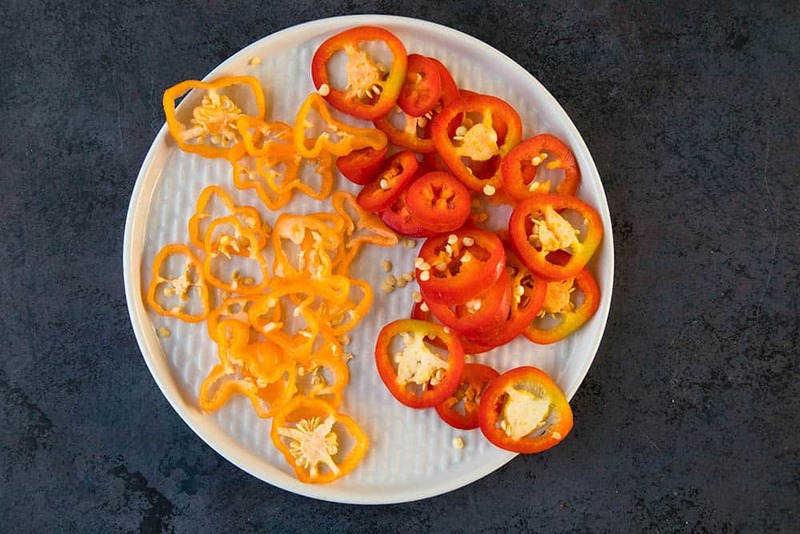 While the chicken is cooking, slice up your jalapeno and habanero peppers. They’re so vibrant, aren’t they? Total faves. Heat a small pan to medium heat and add the olive oil. Add the peppers and sauté them a couple minutes per side, until they begin to blacken. Remove from the heat. 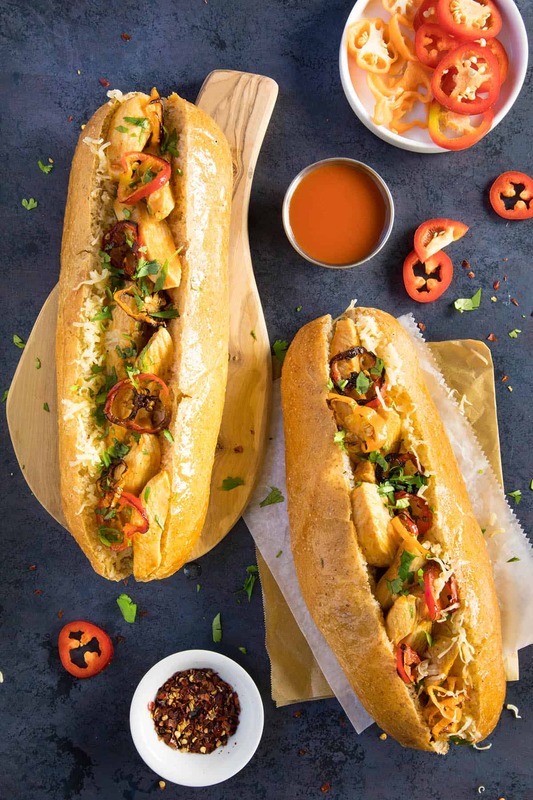 Serve the chicken on the toasted sub rolls, then top with shredded Gouda cheese and sautéed peppers. Sprinkle with fresh herbs and spicy chili flakes. Don’t these look amazing? I can eat 10 of these! Right now! There is a respectable level of heat with this recipe. 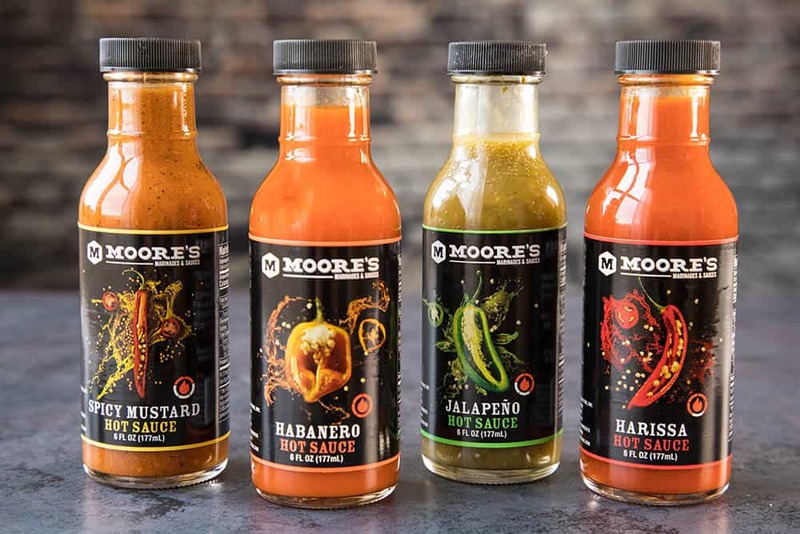 Moore’s Habanero Hot Sauce has a nice level of spice for sure, but with the addition of the sautéed habanero and jalapeno peppers, along with the habanero hot sauce, you’ll be pushing the limits, unless you’re a seasoned chilihead. 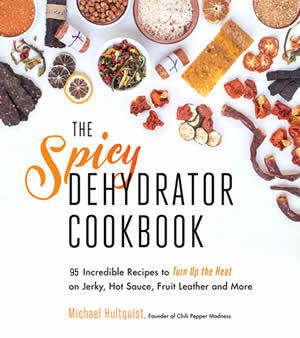 If you’d like to dial back on the heat, use less hot sauce and skip the habanero peppers. It is still super tasty. I was pretty worried that these sandwiches would be too spicy for me. Not only can I handle only a small amount of habanero heat, but Mike added all those jalapeno and habanero slices in addition to the Habanero Hot Sauce. SMH! Well, it all worked out, where I picked off a few of the pepper slices, but I was blown away by how good the hot sauce tastes. I don’t normally choose this style of habanero hot sauce because they often have a strong vinegar taste. Not my thang. But this hot sauce is absolutely delicious. In fact all of the Moore’s hot sauces are amazing. I’m so happy to have found such a great hot sauce brand. 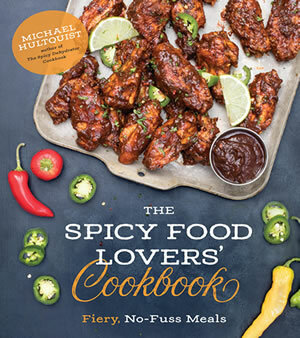 Can’t wait to try out the marinades and wing sauces. Check out the Moore’s Marinades and Hot Sauces web site at www.mooresmarinade.com. They not only sell this wonderful habanero hot sauce, but several others as well as marinades. 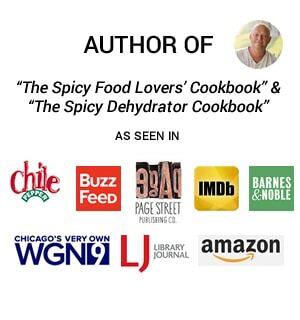 I’ve tried all of the hot sauces and they’re great quality. Happy to recommend! 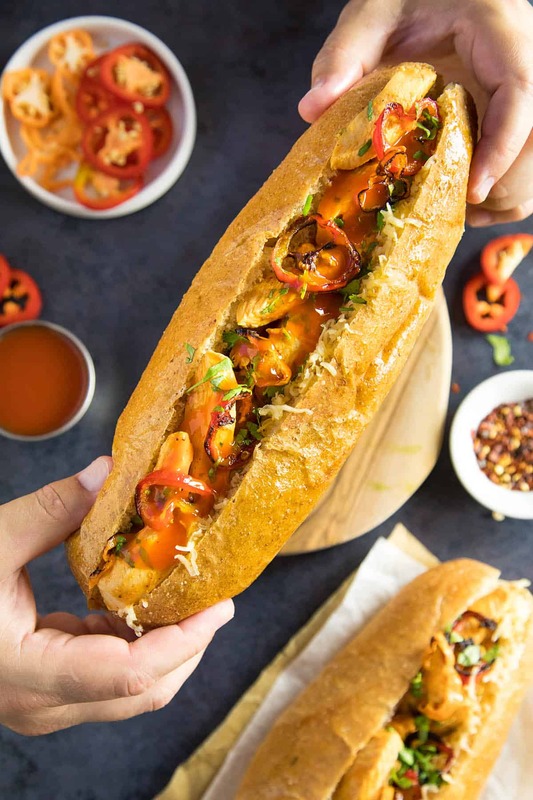 A recipe for grilled chicken drenched in spicy habanero hot sauce on toasty buns topped with smoked gouda and sauteed peppers. Let’s spice things up! Heat your grill or a grill pan to medium heat. 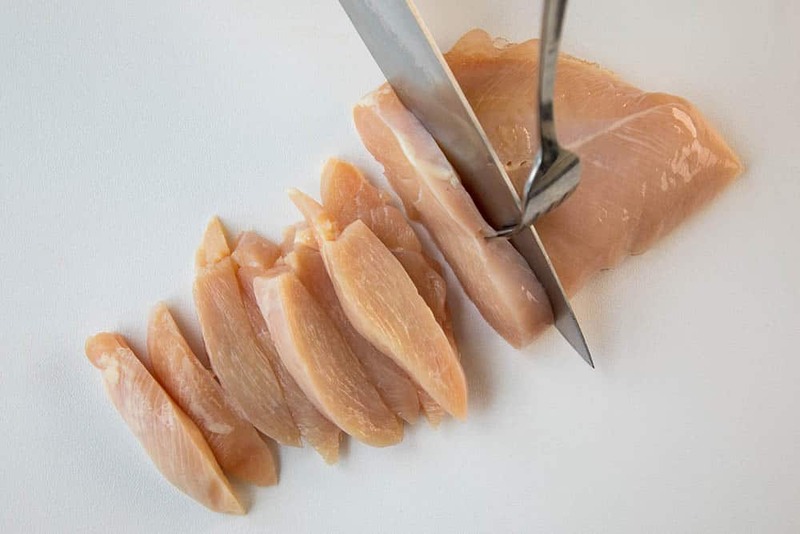 Slice the chicken breast into strips about ¾” thick. It helps if you pop the chicken breast into the freezer for about 30 minutes before slicing. 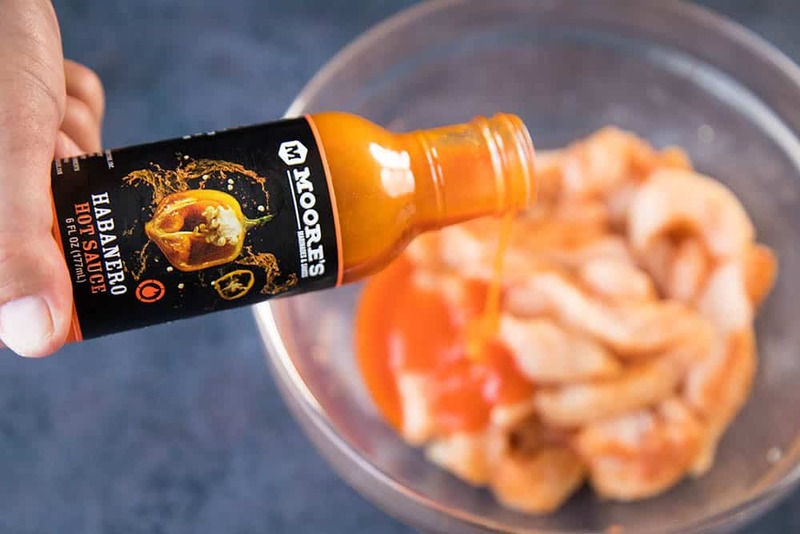 Toss the chicken in a bowl with the Cajun seasonings and ¼ cup of Moore’s Habanero Hot Sauce. Make sure the strips are nicely coated. 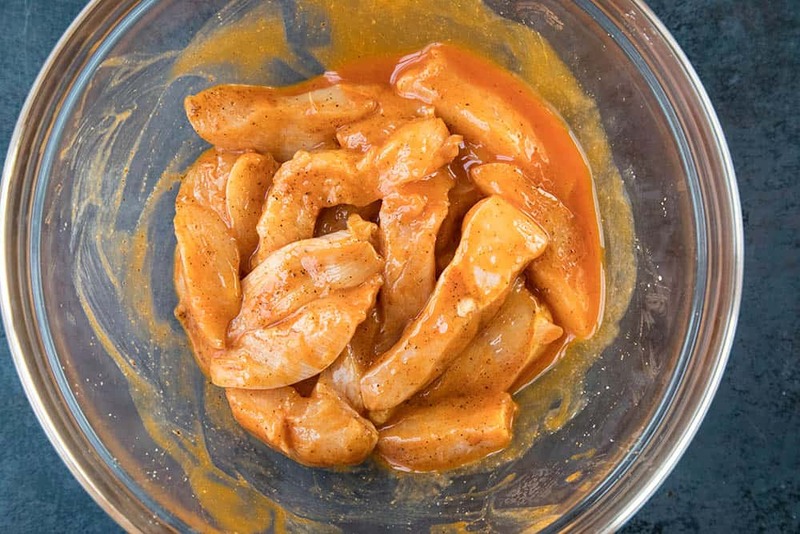 For more flavor, let the chicken marinate at least 10 minutes. Lightly oil the grill grates and grill the chicken strips about 6-7 minutes, or until the chicken is cooked through. While the chicken is cooking, heat a small pan to medium heat and add the olive oil. Add the peppers and sauté them a couple minutes per side, until they begin to blacken. Remove from the heat. Heat Factor: HOT. You’ll get a delectable heat here with the addition of the sautéed habanero and jalapeno peppers along with the habanero hot sauce. If you’d like to dial back on the heat, use less hot sauce and skip the habanero peppers. 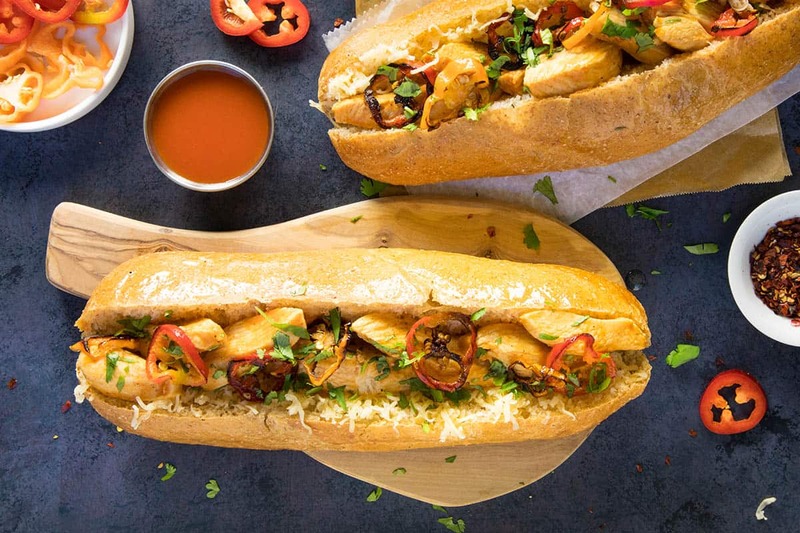 I love a tasty and easy chicken sandwich, would love to try this! I will have to try this sauce! I am a huge spicy fan and this sandwich looks incredibly yummy! All of these things make me so happy! Especially the spice and the Gouda!!!! Extra gouda for you! I love a nice smoked gouda. Habenero sauce sounds amazing, and like something I need in my life. This is my kind of sandwich. So good! Next time I’ll make an extra few sammiches.